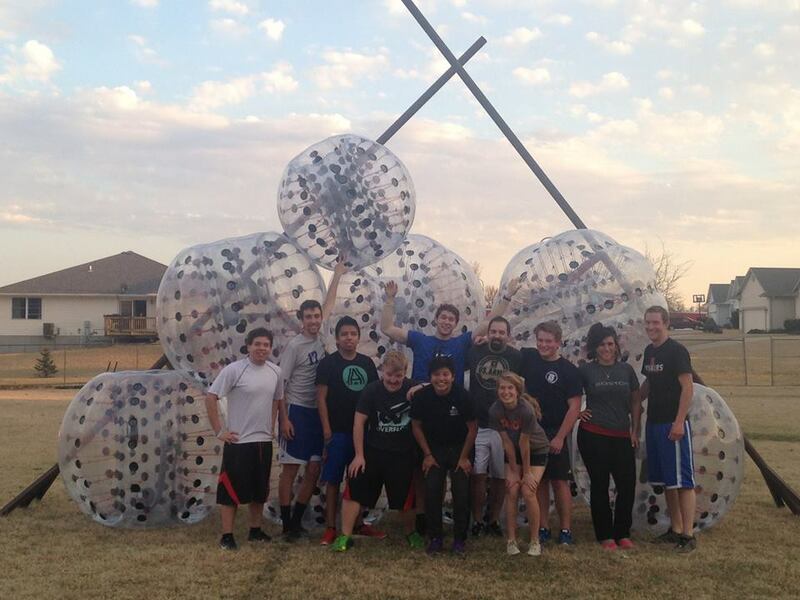 We have a super fun, exciting new game in town: Bubble Soccer! It’s hilarious to watch or play, it’s great exercise and it’s one of the safest sports there is. Played much like classic soccer, it has one major difference… an inflatable bubble you run around in!! This is the most action-packed, entertaining, safest version of soccer the world has ever seen! For those who don’t know, Bubble Soccer is a single chamber inflatable sphere with inner handles and adjustable shoulder straps. Bubble Soccer can be used singularly to perfect your rolls, flips, and wheels. As with regular soccer, Bubble Soccer can be played on a clean grass field (no trees or debris) or an indoor gym of usual dimensions, with two goals and a referee. Time can be kept according to regulations, or games are often shortened by design, by exhaustion, or by the inability of people convulsed with laughter to run after a ball anymore! We recommend 5 on 5 Bubble Soccer, but if you have less people or less budget, this is a great option. The price listed for this rental is per hour and includes 10 Inflatable Bubble Balls, 1 soccer ball, and 1 referee. Anyone under the age of 18 requires adult supervision. The game is especially popular as a company team-builder and as an icebreaker at corporate events. It gets everyone laughing, and vents tensions in a positive, enjoyable way. 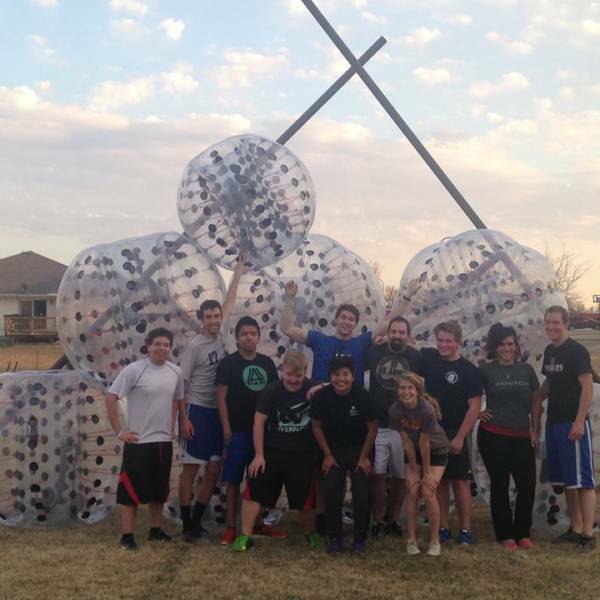 Bubble Soccer is also great for Family Reunions, University events, After Proms, Graduation parties, Birthday parties and more! Price includes delivery (if event is located in Omaha), set up, and tear down. If you’re looking for a bounce house, sumo suits, bubble soccer, Bubble Soccer, inflatable game unit, moonwalk, bouncer, obstacle course, snow cone machine, or inflatable units with water, you’ve come to the right place! If you have any questions, please contact us!